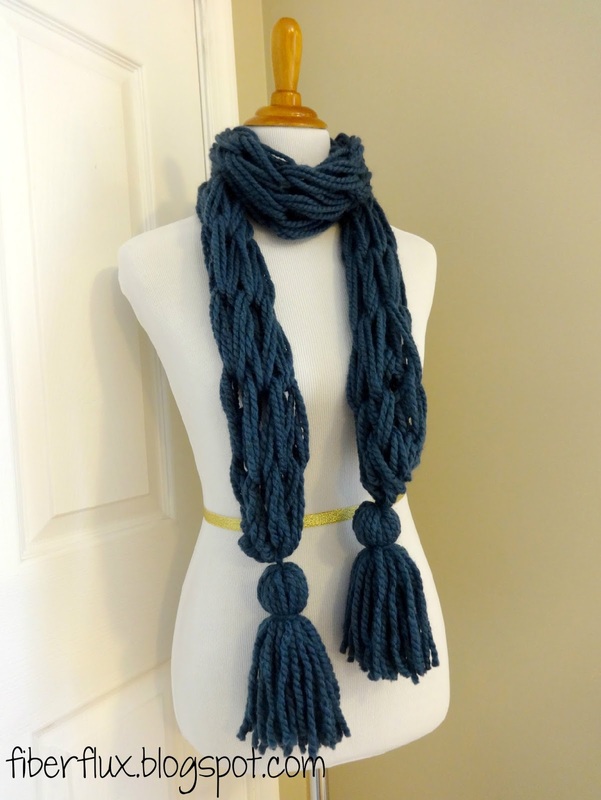 Fiber Flux: Free Knitting Pattern...Arm Knit Tassel Scarf! 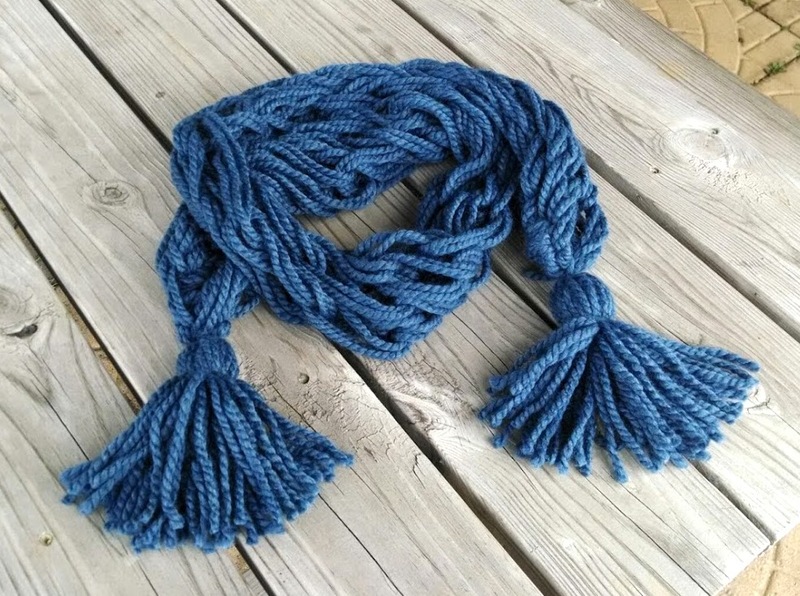 Free Knitting Pattern...Arm Knit Tassel Scarf! 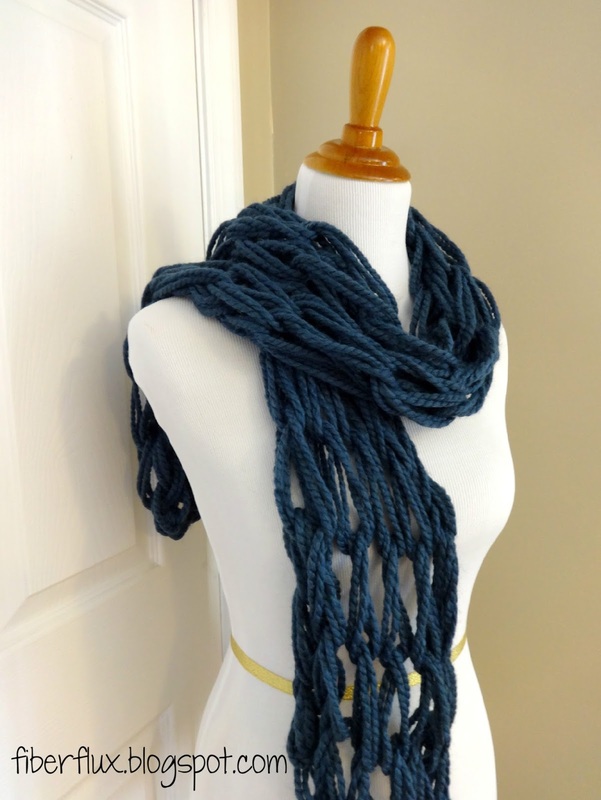 The Arm Knit Tassel Scarf is a modern and pretty project that is super fast to make. 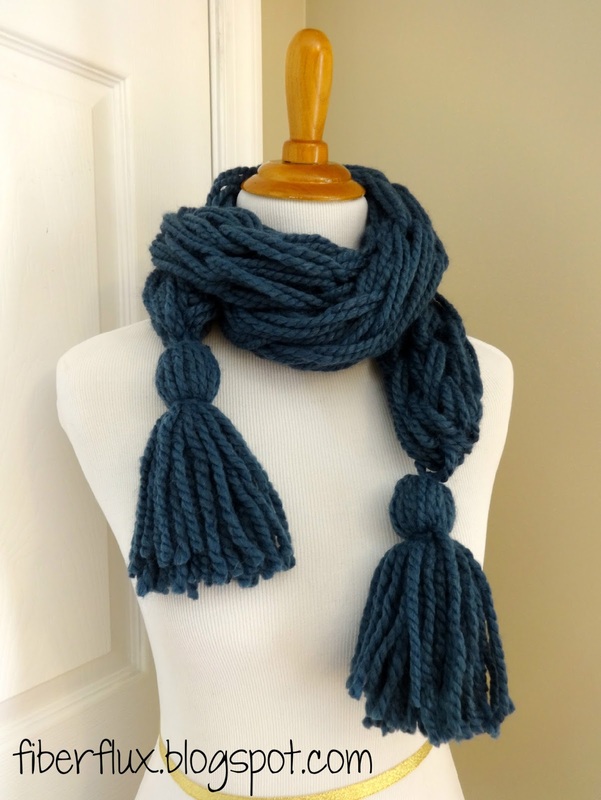 If you are new to arm knitting, this is a great beginning project, with the added extra of fun tassels! 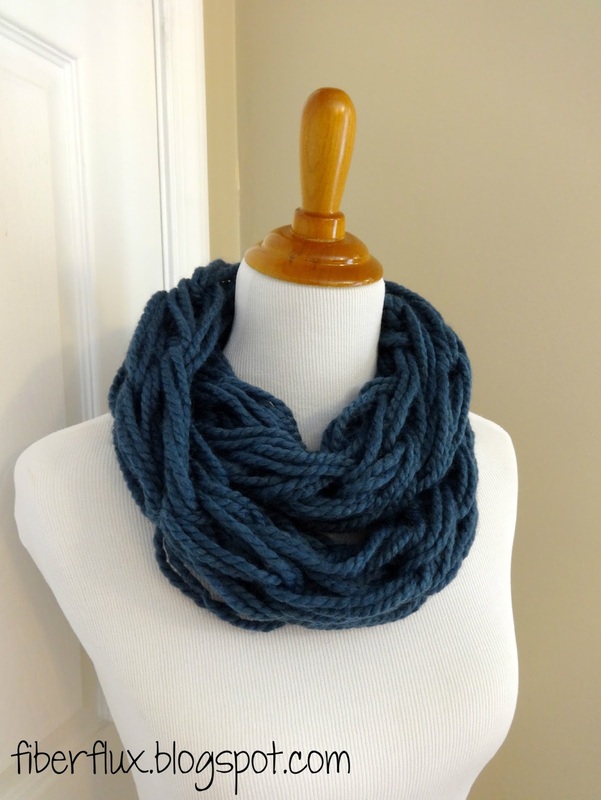 Be sure to scroll down to watch the two videos below if you have never arm knit before. Note: You can use any bulky/super bulky yarns for this project, if you are unsure about your yarn and/or the colors you have chosen, you can do a test swatch to see how everything will come together. Repeat row 1 for a total of 20 rows. 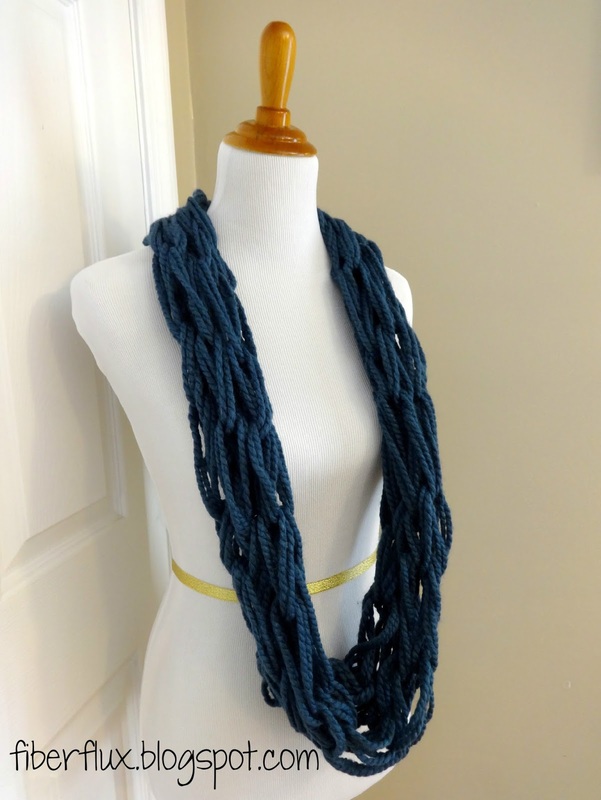 Using card stock or other sturdy material and holding two strands of matching yarn, wrap the yarn 13 times around. Slip one of the strands of yarn in between the card stock and yarn and tie the top securely with a knot. 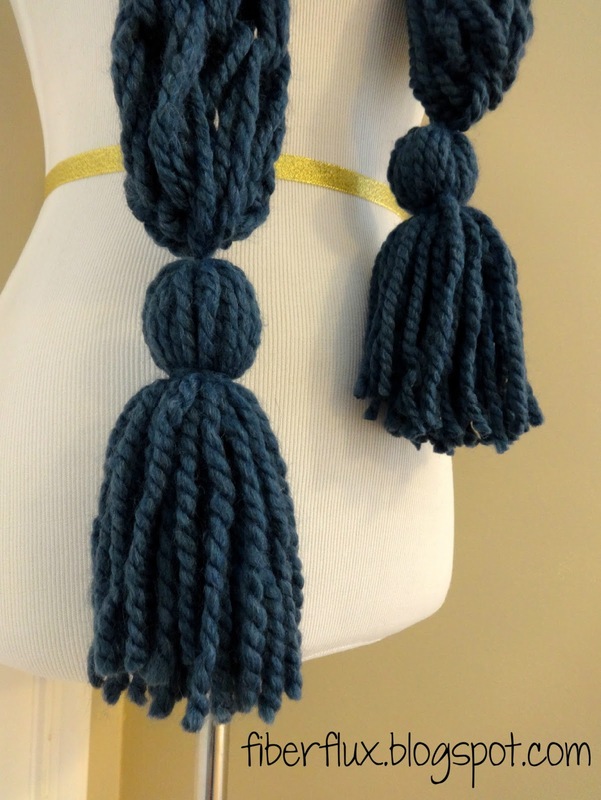 Using the other strand, tie it around the tassel about an inch or so from the top as shown above. Trim the bottom strands across for a uniform finish. 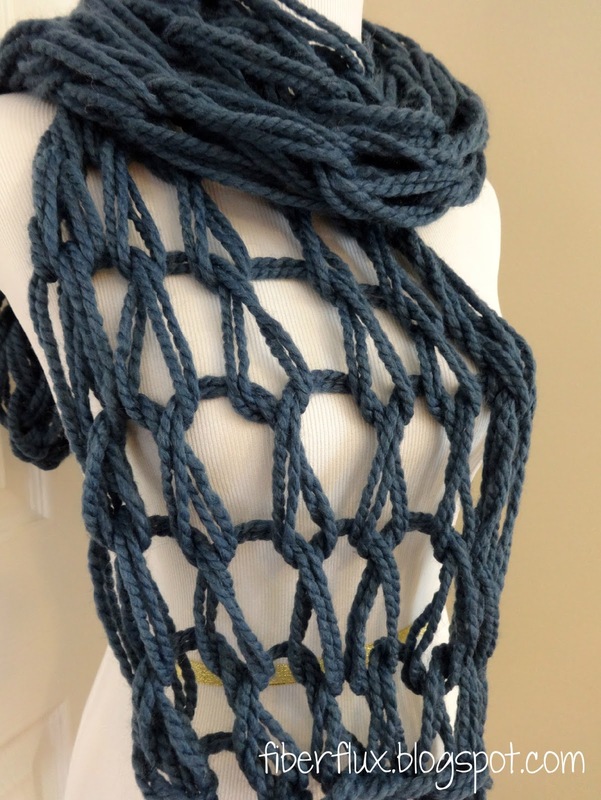 Before weaving in the ends of the scarf, gently tug to draw in the edges for a rounded scarf edge. Note: If you already knotted your piece, simply weave in the strand along the bottom and pull tight...it will draw up the bottom the same way. Tie a tassel to each end and weave in any ends that remain.